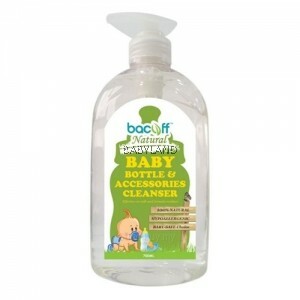 Keep their baby safe and nursing accessories clean and fresh. At Bacoff™, we are inspired to make your everyday cleaning safer for your family and kinder to the environment. The path to our vision brought us back to nature. That’s why our products are derived from 100% natural, sustainable based ingredients. Bacoff™ was recently awarded as the best ‘Natural Living Product’ in NOPA, 2016 in Hong Kong, the world’s largest organic trade fair. -No exposure limits – safe for people! What is 100% Nature Not Chemicals? Our ingredients have been certified by independent certifiers like NASAA, and can be found in the FDA Generally Regarded as Safe (GRAS) list. In short, we use naturally grown, safe and edible ingredients to formulate our cleaners and disinfectants.